QC Family Entertainment specializes in FOOD, FUN and GAMES for all age groups! 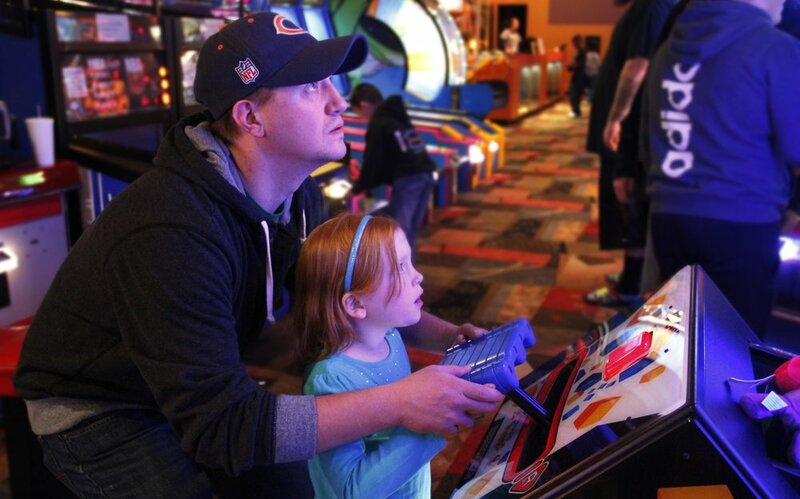 Our facility brings family and friends together in the name of bowling, laser tag, video games and Frankie's-our sports bar and grill! We have 32 bowling lanes -- 24 of which are laid out in the conventional bowling style PLUS 8 additional lanes in a boutique style equipped with leather couches in a private area perfect for open and league play, corporate outings, family gatherings and children's birthdays. Frankie's Sports Bar and Grill serves up a variety of tasty meals, a QC favorite being our Miroballi Family Chicago-style pizza! Frankie's is large enough to accommodate 120 people, features a full-service bar and more than 10 high-definition big screen televisions! Finally, we have a two story laser tag arena so you can battle it out with friends and family. We are available for private events and parties. We also offer bowling leagues including senior, adult, youth and mixed leagues.